5 benefits to drinking coffee! 1. Reduces the risk of cancer- Coffee reduces risk of cancer. Caffeine contains polyphenols, which help reduce the risk of cancer. Drinking coffee regularly also decreases the incidence of early onset of breast cancer. 2. Protects liver - According to research, the more coffee people drink, the less susceptible they are to the liver diseases such as cirrhosis. A recent analysis found that every two-cup increase in daily coffee intake was associated with a 43 percent lower risk of liver cancer. 3. Good for brain - Moderate coffee also reduces the risk of dementia, Parkinson's disease and Alzheimer's. 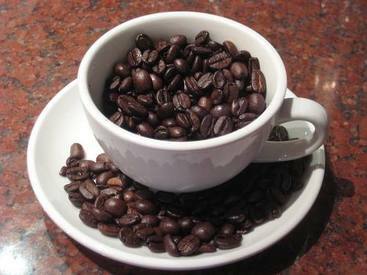 The reason is, caffeine is rich in antioxidants which prevent damage to the brain cells. 4. Improves energy levels - Coffee can make you feel less tired and can also increase energy levels. Apparently, caffeine is the most commonly consumed psychoactive substance in the world. 5. Helps burn fat - Caffeine can be found in almost every commercial fat burning supplement. According to studies, caffeine can boost the metabolic rate by 3-11 percent. Specifically, it can increase burning of fat by as much as 10 percent in obese individuals and 29 percent in lean people.